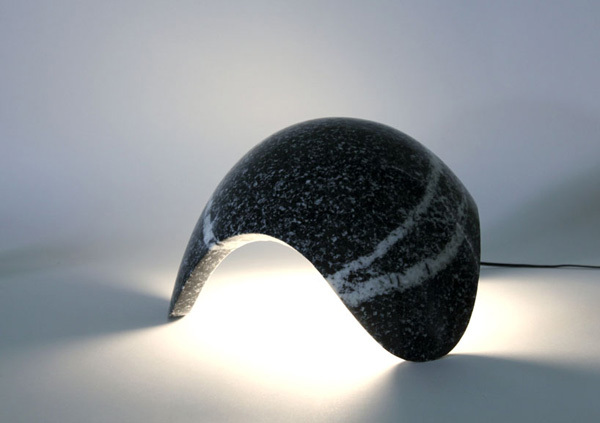 Statement pieces like Landing 200 Lamp designed by Kim HyunJoo make the interior more interesting. 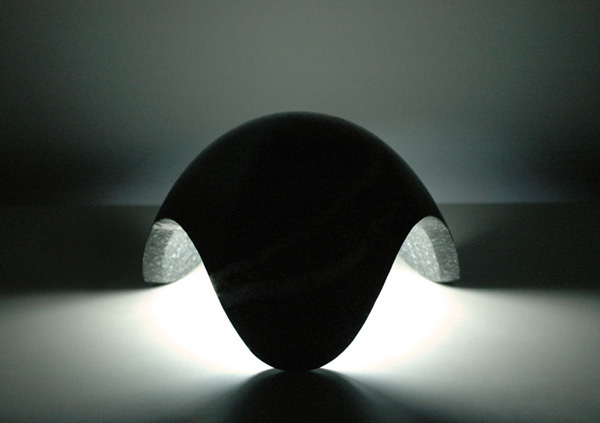 The granite lamp looks like an alien ship just landed onto the table. 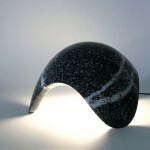 Interesting shape and solid but textured material make this lamp looks very interesting and eye-catchy. When not in use it looks like a beautiful mysterious figurine while when switched on it looks like an alien ship. Don’t you think? 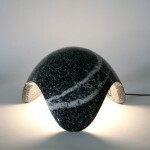 Granite looks beautiful especially in this shape due to its intricate texture. 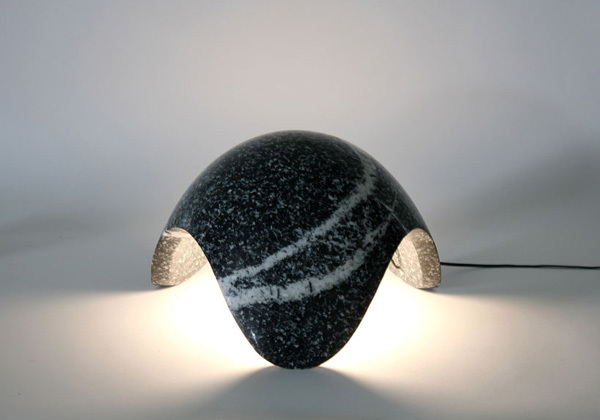 Lamp comes in dark gray granite with white streaks and dots and stands on three rounded leg. 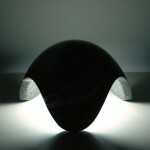 The light comes down from the dome-shaped top and breaks into as the lamp’s curves go up and down. 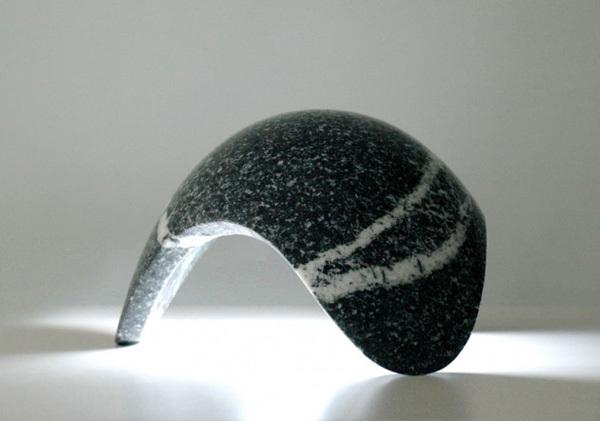 Kim HyunJoo has more stylish pieces out of granite and other materials in his portfolio. There are furniture pieces, lighting, and accessories.